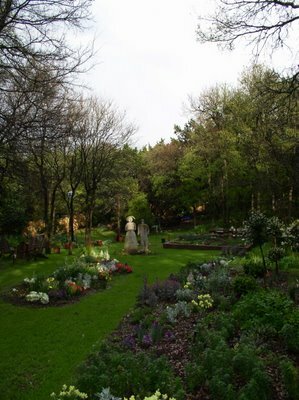 this is the most beautiful my pippingtooth garden ever looked. that’s because it was a community garden at the time. a community of all my sweet friends who make their living helping woebegone gardeners like me make visions come true. elena…magical gardener who now runs an amazing austin garden & vintage gift store called, Happiness. christian who i refer to as my 3rd son home from college even though he’s a bona fide grown-up with a beautiful little daughter & sweet wife. he can make anything, craft anything, build anything my wonky brain can dream up. he’s busy making all things gorgeous and sturdy at a lovely boutique hotel here in austin now. Doug, sweet doug…who is a tireless soul. An early riser with the patience to deal with almost any garden folly i can conjure. These folks made my pippingtooth garden my dream community garden. A place where a hearty spade and a hearty laugh were always in plenty supply. my love of gardening grows in direct correlation to the chance of finding someone i love in my garden. 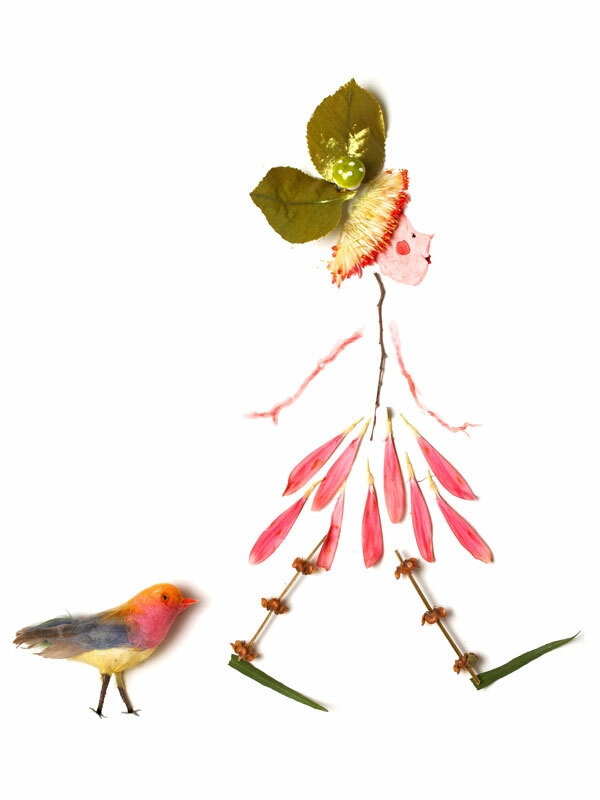 i’m an extrovertus gigantus who grows best in a the full sunshine of dear friends to garden with. which is not to say that my garden is lonely now. how could it be with all the wonderful memories of time spent with my bestest buds digging and hoeing and staking and planting. no, it’s not lonely. just quieter now. and way too much space for one gabby artist girl to manage by herself. so it’s scaled back. way back. and i let whatever’s green and creeping fill in around the plants and flowers. 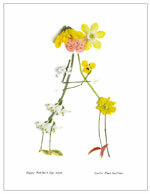 my dear elena comes once every two weeks or so to keep my palette of flowers blooming. the garden hums when she enters it. so do i. her energy is green and vibrant and loving. the plants and flowers grow towards her light. red dragonflies form a corona above her head as she tends the littles shoots and buds. i love my garden. in all shapes and sizes. the memories are perennial. the friendships grown there everlasting. Carol Ramsey Wins The Print! Free Signed Print For A Wonderful Mom! 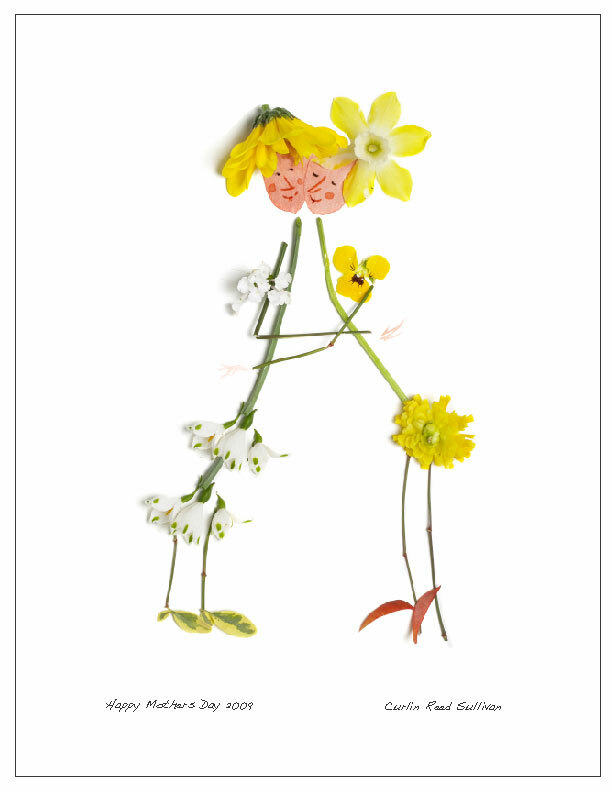 Happy Mother’s Day to All of Katie Malinski’s Newsletter Readers! In honor of my mother, I’m pleased to be giving away a signed fine art print of my newest image titled: Happy Mother’s Day 2009. To Enter to win, please post a comment just below this post about why you love being a mom. Make sure you include your email address so I know how to reach you if you’re the winner and so I can add you to my “what’s new preview” mailing list. I’ll choose the winner by random number generator on Mother’s Day by 5pm. 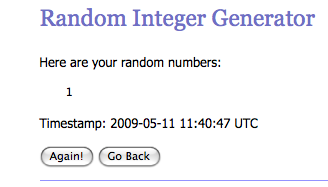 I’ll announce it here on my blog and email the winner at the same time. I hope you have a marvelous day with your loved ones. 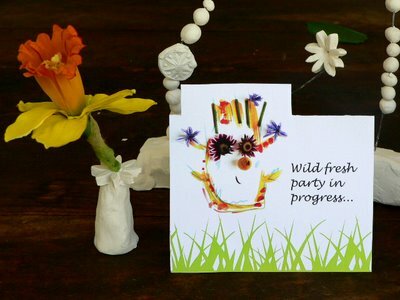 A great big hug to Katie for joining me in this special giveaway! 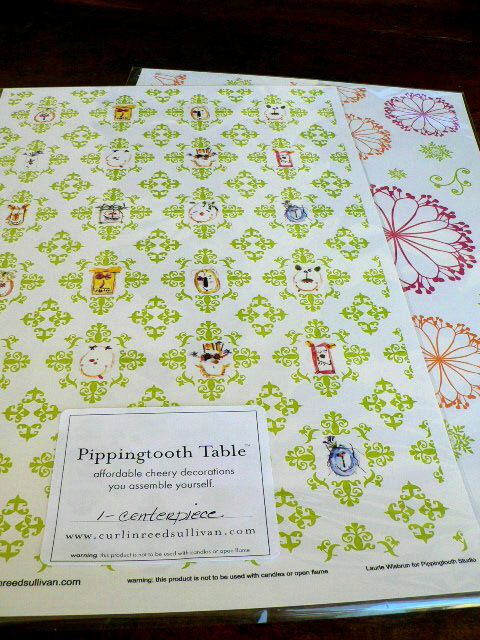 for featuring the new paper tabletop collection Laurie Wisbrun of Scarlet Fig and I created together. 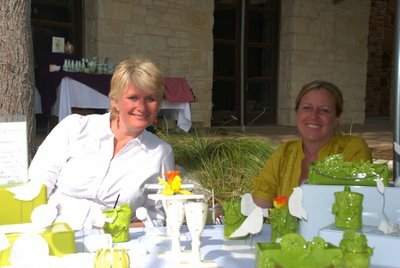 i first met beth at a babes in biz meeting here in austin. 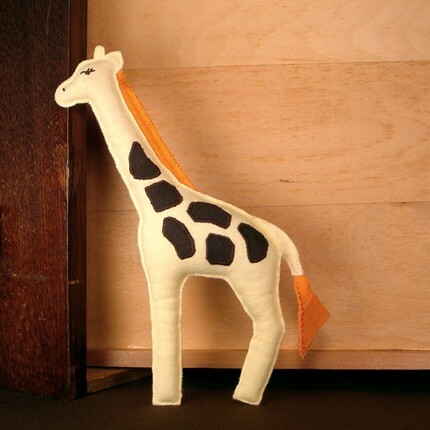 her hand-crafted snuggleherd creatures are absolutely darling. and each character has all sorts of accompanying gifts like notecards & onesies. i’m flattered that she featured us. happier still, to have a friend and talent like beth here in our austin creative circle! 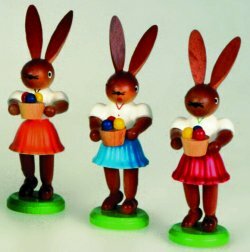 happy easter from all the little bunnies in the pippingtooth garden! hope everyone has a wonderful long relaxing weekend with baskets full of treats. my love for johnny-jump-ups and pansies knows no bounds. they are some of my all-time favorite little flowers. so cheery. so sweet. so little. 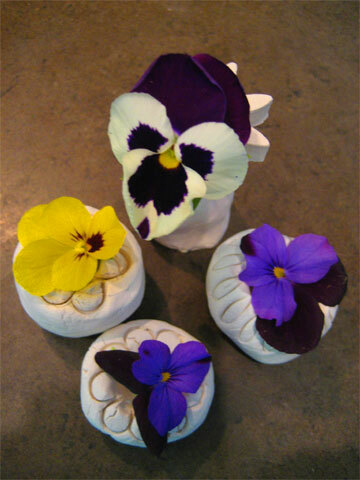 with that in mind, i’m making little thumbprint vases now to hold just one blossom at a time. they’re bisque on the outsize…glazed inside and hold water….but only a drop or two…just enough to quench the thirst of these wee blooms. i make ’em in a flash. they are, how shall we say….rustic. yes. but they’re also cheap at $3 a piece. 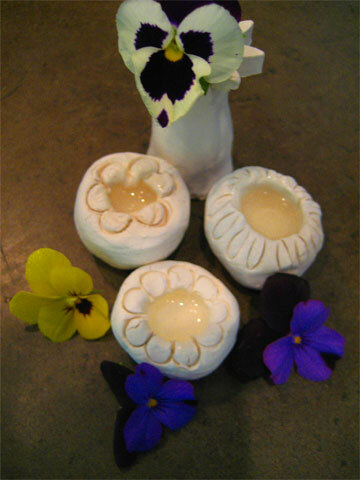 i add a little flower her or there or an embellishment stamped from my collection of old butter pat molds. make sure you check out her beautiful clothing designs and fabric store. big oh-so-new news! 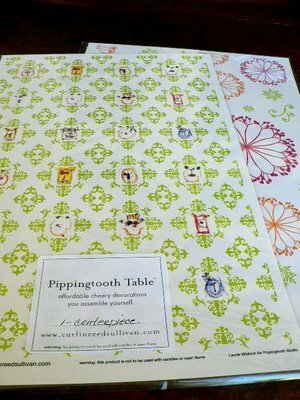 my dear friend, Laurie Wisbrun of Scarlet Fig, is bringing her talent to pippingtooth studio. she and i have collaborated on a brand new line called — pippingtooth table –a fresh collection of absurdly affordable paper & ceramic table decorations. we’ll be debuting it this weekend at the Lady Bird Johnson Wildflower Arts & Artisan Festival Saturday 9-5 and Sunday 11-5.
pippingtooth table — features beautiful paper centerpieces, place cards, table tents and lots of other beauties you can assemble yourself in a jiffy. suddenly your table is alive with birds, flowers, garden creaturrre illustrations & vases, laurie’s gorgeous little chair designs and more! laurie has even created coordinated fabric you can purchase on my website soon — so you can whip up darling cloth napkins or table runners and such. 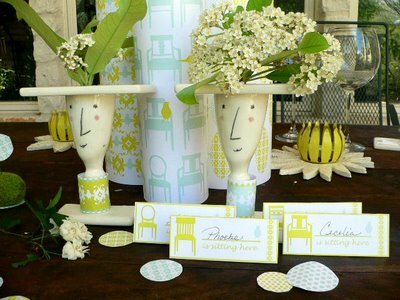 our fun colorful paper party, ceramic vases & bisque what-nots will make your table smile. not to mention your pocketbooks. this weekend. 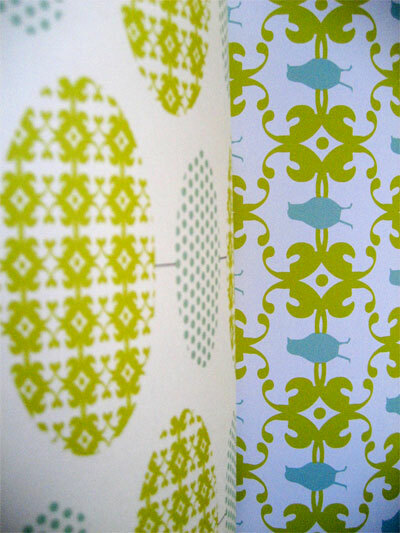 saturday 9-5. sunday 11-5.
prints, cards and tabletop decorations from my pippingtooth studio. 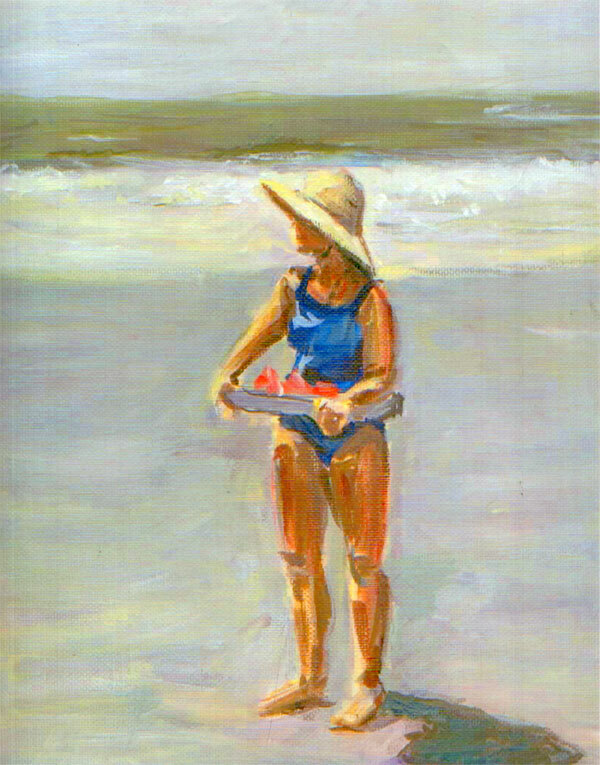 this is a painting i did of my sister-in-law, camille, who brought cold watermelon down to all of us on the beach one blazing august day. i’m missing the beach and the waves and the sand and my mom and my whole family. can’t wait to see them this summer down by the sea shore.